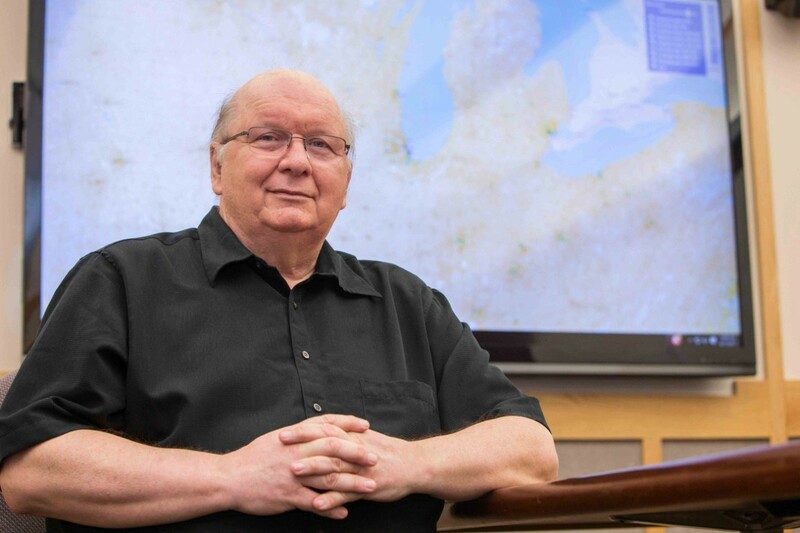 UC geography professor Tomasz Stepinski created the new world map showing dramatic changes in land use over the last quarter century. Stepinski, a professor in UC’s McMicken College of Arts and Sciences, turned high-resolution satellite images from the European Space Agency into one of the most detailed looks so far at how people are reshaping the planet. News agencies such as The Guardian have called some of the Central American migrants “climate-change refugees” since many are fleeing successive years of crop failure. But Stepinski said climate change tells only part of the story. His map shows how Guatemala has seen widespread deforestation. “Of course, it raises alarm bells. But they’re not new ones,” Stepinski said. UC geography professor Tomasz Stepinski uses vast databases to create one-of-a-kind maps illustrating global change. “We already knew about deforestation or wetland loss or increasing urbanization. But now we can see exactly where all of that is happening,” he said. “The great achievement for the European Space Agency was to make sure the satellite images were compatible from year to year so you could compare them,” Stepinski said. “What makes this so depressing is that it’s examining a timescale that is shorter than our lifetime,” Stepinski said. 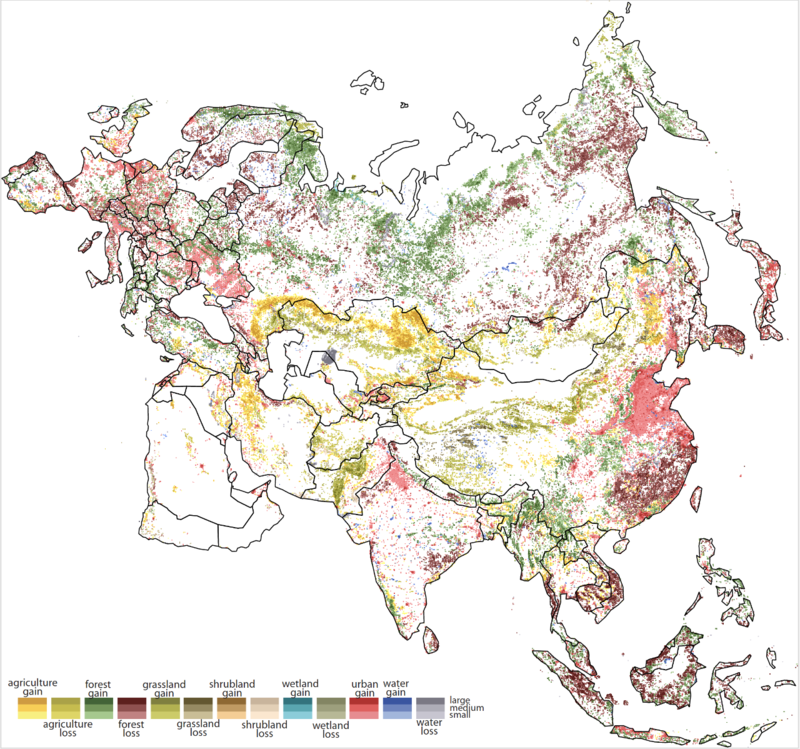 A broad view of landscape change across Europe and Asia in UC geography professor Tomasz Stepinski's new map. Stepinski used a Fuller projection style to be more faithful to actual comparative geographic size. One of the most obvious examples of changing land use is found around cities, said the study’s lead author and former UC postdoctoral fellow Jakub Nowosad. “The direct impact of human actions is reflected in the patterns of urbanization. 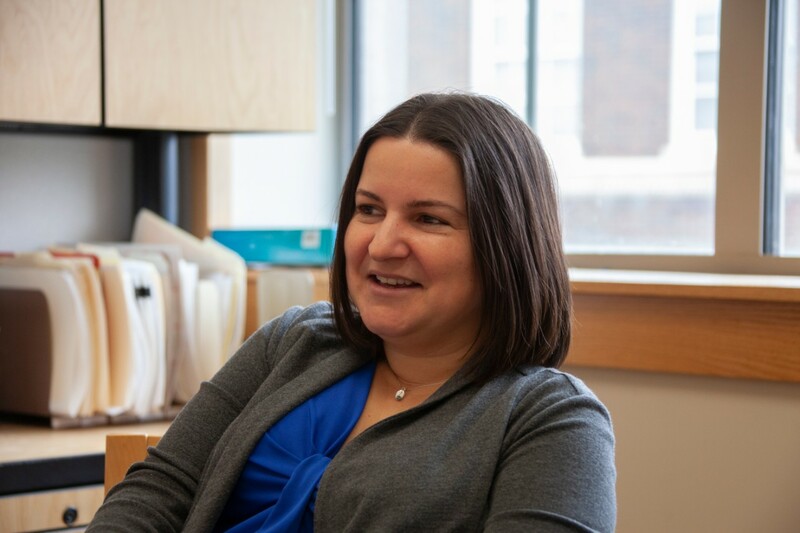 For example, you can see suburbanization and cities densification in North America and Europe,” said Nowosad, now an assistant professor at Adam Mickiewicz University in Poland. Nowosad said western China has seen vast urbanization while India’s most obvious development has been in its smaller cities. UC anthropology professor Leila Rodriguez, an expert on the global refugee crisis, spoke at a panel discussion on immigration at this year's American Anthropological Association conference. “This is the transition area called the Sahel. And if you notice, you see grassland losses because of climate change — more desertification,” Stepinski said. 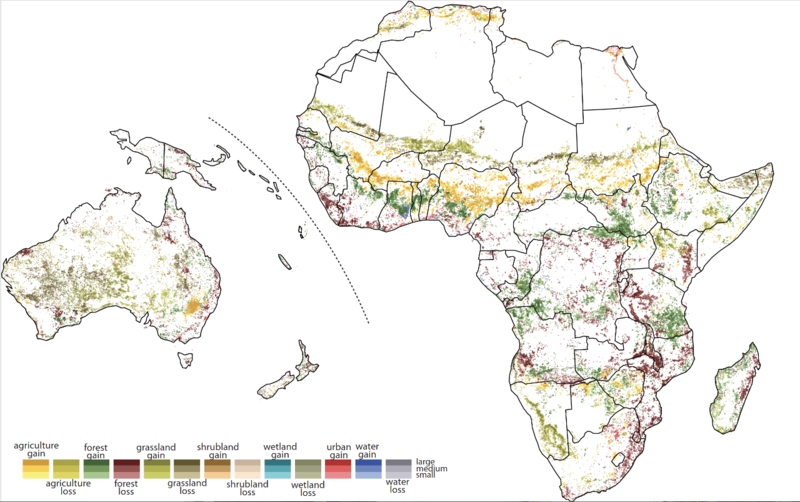 Landscape changes over the past 25 years across Oceana and Africa are evident in UC professor Tomasz Stepinski's new world map. Stepinski has used maps before to tell similar fascinating stories. News magazine Quartz in 2017 called his map of racial diversity in the United States “insanely detailed.” Earlier this year, he used WorldClim data to compare climates anywhere on Earth and project how the climate is expected to change over the next 50 years. The project was supported by UC’s Space Exploration Research Fund. 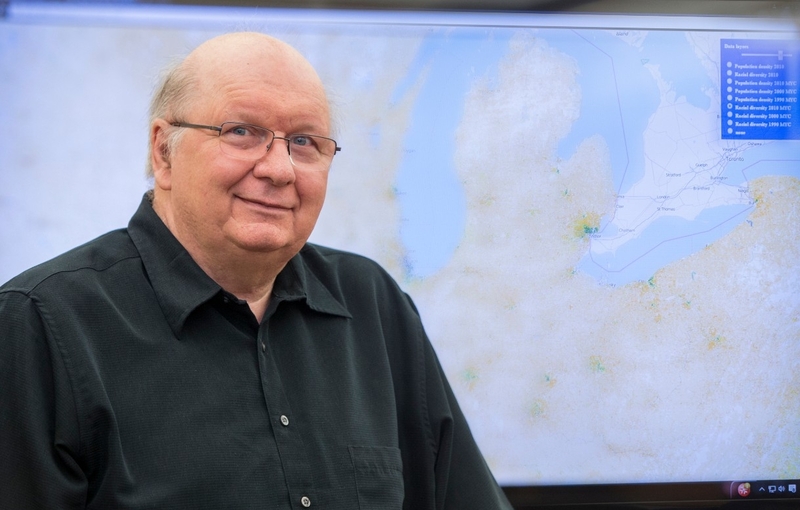 UC geography professor Tomasz Stepinski studies data to create custom maps that can help explain political, social and environmental events. 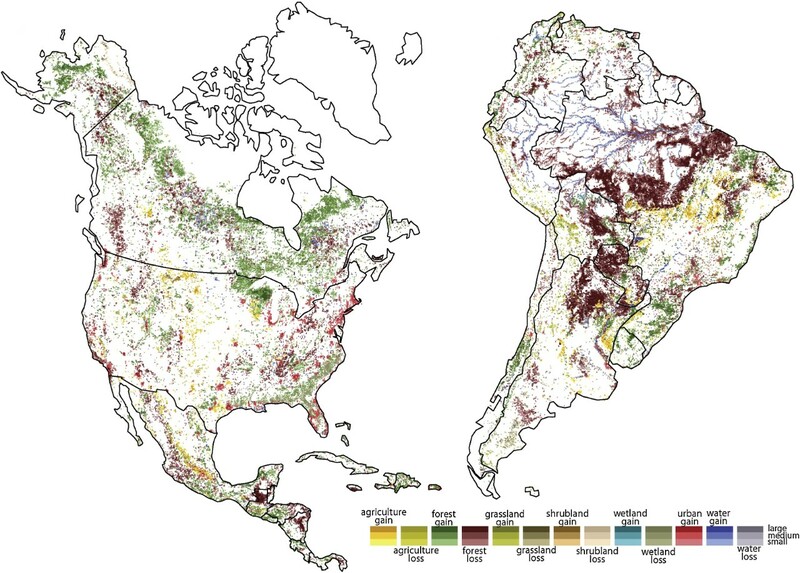 Citation: Global assessment and mapping of changes in mesoscale landscapes: 1992–2015.